I don’t want to say to much as there is a lot to read between the BBQ committee and Mark below. See you all at Taupo! Entry for round 5 is up at motorsportentry.com under “Barry Algie Memorial Meeting Taupo (Great Lakes)” with entries closing on the 3rd of April. Provisional Points are at https://goo.gl/E9uHRl – They are provisional as a Driver Standards decision has been appealed to the overview committee, this will be sorted before the next round. Cameras for all Cars: All of us want to see more video footage from other racers. Not only does it give us hours of enjoyment, we can steal other racer’s lines and brake markers watching them whilst laughing at mistakes and cringing at bad moves. Racing footage while entertaining, the cameras will also provide us with evidence of who made the naughty moves, when how and why. There are two sides to every story and with two points of view recorded, double the entertainment!!!! The footage will also be educational, with mistakes being pointed out to the offended parties and laughed at. A simple action camera with the mounts required and memory card can be purchased from as little as $60. This is less than the fuel we spend on a days racing. 1-Day.co.nz is happy to arrange a Sales event for 2K Cuppas to purchase a range of Action Cameras, mounts and Memory cards for all racers from $39.99 for Cameras all the way up to $499 GoPros. Alternatively, there are plenty of options from retailers like Noel Leeming & of course TradeMe to buy these at small cost from. I personally think we should all be running them anyway to avoid arguments of who molestered whoms bumper or who put their car in a space on the track already occupied by some other racers car. Sand Baggers: Well, to say we were disappointed by a couple of people in the Spirit Race is an understatement…….. Following this round we will see a Penalty handed out to any so called racer that “Sand Bags” in Quali to cheat their way into the Spirit boys races instead of the fast group. We want anyone that is 2.5 seconds a lap quicker in races compared to their qualifying time, to be stripped of their position (not points as they are getting less running in the fun class anyway) and any Yellow Hats / chocolate fish they may have received and moved into the Fast Group. They will, for their troubles, receive a sand bag from the BBQ Committee and an invite to cook us sausages at our convenience. Untidy Cars: We want to see an effort made to tidy up some of the cars out there, Lets have a bit of pride in the cars we are racing. BBQ Committee will be placing window leaflets on cars that need a little bit of TLC to motivate the owners to clean them up. #187 – Josh Colligan – For passing 5 cars under Yellows!!!!! I don’t want to have to tell you what the grave penalty will be if these fellas are not there for us cooking & handing out hot sausages at the end of the day……………… for it will be severe and VERY embarrassing. Right, I think that’s about it. In my advanced age, I can remember naught else that needs to be attended to by us. Look forward to racing with you all soon!! It pains me to write this message but I feel like it is needed and it’s specifically directed at a small minority of competitors in our class. We had some accidents at 2KCUP Pukekohe, nothing that I saw was malicious but all could have been prevented by someone lifting. We race for a chocolate fish and if you think we race for more than this you should come and talk to me, I can push you in a better direction for a series that may suit your requirements. At the drivers briefing I told all drivers that at every round, especially Pukekohe, you need to look after your mates (anyone in a 2kcup car) but unfortunately two cars are now not very straight at all and all because some people didn’t take this advice to heart. If your question is will he do it himself my answer is talk to Shane Geddes and Ian Wallace, these are two guys that I’m racing hard against for race wins, I lifted for both of them in race 2 at Puke to look after them (and my own car). If I can lift and I’m running for the same chocolate fish as you all are then surely everyone else can. I personally don’t care if you are right by the letter of the law according to MSNZ as it’s not nice to fix cars and it’s money we would all rather be spending on other things. In 2KCUP 1 position is only 1 point if you are trying to run for a cup I can assure you will have more chance of winning if the choice is 1 less point VS missing a whole race worth if it goes wrong. Breaking Down on the track. If you breakdown on the track DO NOT under any circumstances fix your car unless it’s in the pit lane, get yourself to a safe spot and enjoy watching the rest of the race. We had a minimum of 2 drivers that decided to try to fix their cars on track, one in the runoff area for turn 1/2 and another in the run-off area at the end of the back straight, to say this is dumb is being nice. Please stay safe and read the MSNZ code if you have questions. It’s just not on if you come in after a race only to have an argument with another driver. I know from the couple of small touches I have had with people it’s hard to go and see them but talking it through can help, shaking hands and learning from it is even better. Agro won’t solve anything, especially given that what drivers remember in the heat of the moment can differ to what actually happened. At Pukekohe we had 2 drivers enter into a yelling match after the race and BBQ have dealt with it this time but if it happens again I can guarantee the punishment will not be light. We are a social class that races each other hard and with respect. Drivers shouting at each other does nothing good for the class, nothing good in the eyes of your fellow competitors and nothing good in eyes of the officials of the meeting. If you think the matter is serious you should then approach a CRO and they can take it through the MSNZ approach. MSNZ have the power to stop them racing again on the day. 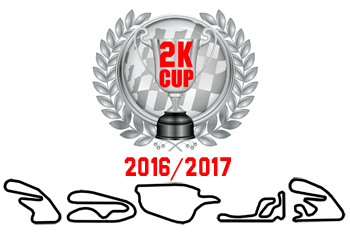 If it’s more minor and you would like the series to look at it send your video to standards@2kcup.com and they will look into the matter for you. As you may be aware there was a major accident at 2KCUP SI recently and the video below is interesting as the driver of the car that is damaged was an innocent party. It just goes to show that you have to prepare for the worst no matter how good of a driver you think you are. We are happy to say the two drivers involved only sustained minor injuries and both will be out racing again. There are many other MSNZ approved cages providers so read your motorsports manual for one in your area. We have attached a link to the rules to this event, we would like to get as many NI teams to go challenge the SI boys on their home turf. This is a great trip to make and the 2kcup SI teams are making a huge effort to look after NI drivers and teams. Start talking to other drivers about putting a team together for this great event. Look forward to seeing you all at Taupo.